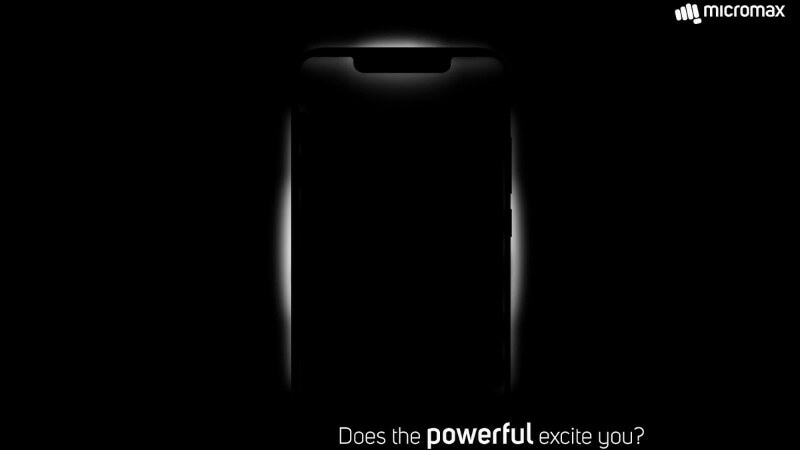 Micromax has sent invites for the launch of its latest smartphone, and is also teasing the smartphone on its social media channels. It appears as if the domestic brand is finally jumping on the display notch bandwagon and launch its first display notch smartphone in India on December 18. The company on Wednesday sent block your date invites to the media to announce its new development. It also teased the new display notch smartphone through its social media handles. Micromax was once a popular Indian smartphone vendor, but in the recent past, it has remained rather mum, with the launch of just a limited number of models in the country. In late October, the company brought the entry-level Micromax Bharat 5 Inifity Edition and Bharat 4 Diwali that debuted with Android Oreo (Go edition). As per the formal invite, the upcoming Micromax smartphone will sport a display notch design. The display highlighted on the invite appears to have a traditional notch that was first seen on the iPhone X₹ 74,999 last year. This is unlike a waterdrop display notch that featured on the models such as the Oppo A7₹ 15,950 and Vivo Z3. Micromax in late October launched the Bharat 5 Infinity Edition₹ 6,550 and Bharat 4 Diwali as its two latest models. Both smartphones run Android Oreo (Go edition) out-of-the-box. The Bharat 5 Infinity Edition in the series sports an 18:9 Full Vision display and comes with a price tag of Rs. 5,899, whereas the Bharat 4 Diwali has a 5-inch display and is priced at Rs. 4,249. The Bharat 5 Infinity Edition also has a Face Unlock feature.